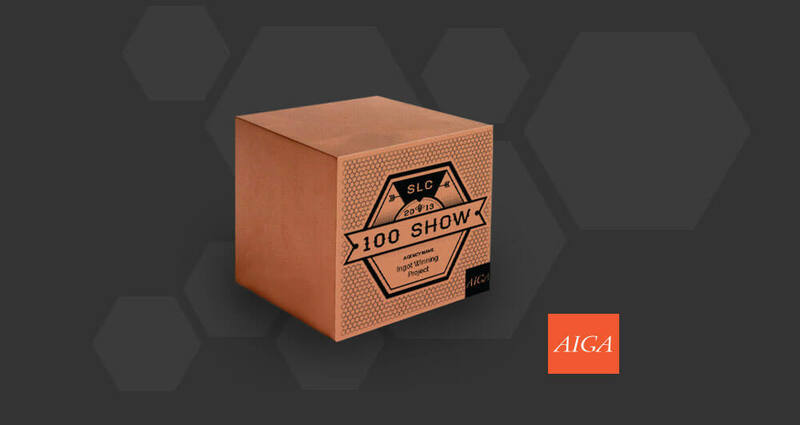 Concept through delivery, EKR’s creative team supported the AIGA 100 Show by designing and producing branding and a complement of materials. AIGA engaged the EKR team to create the branding and marketing collateral to support their esteemed award show in 2013. Through this engagement, EKR provided illustration, brand design, posters, catalogs, invites, environmental graphics, digital media marketing materials, and the Copper Ingot awards themselves. The design work was extremely well received by the client, and EKR managed to take home an award as well. Win-win. 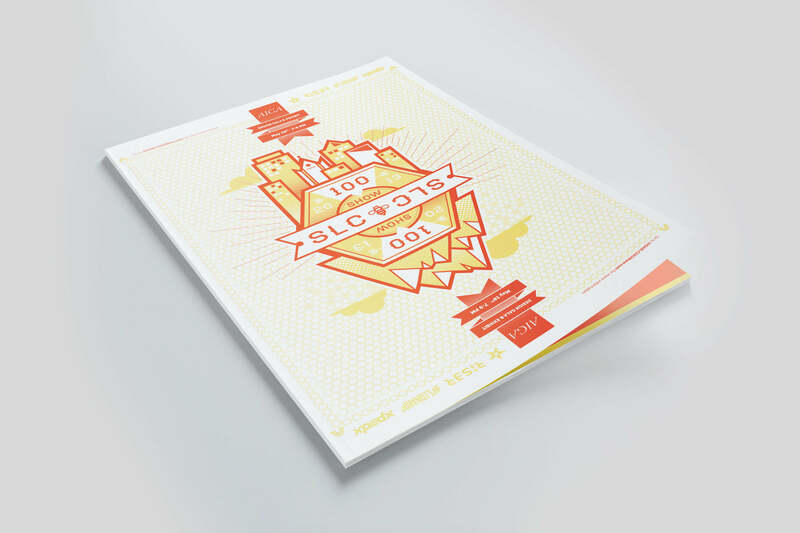 EKR’s talented team of illustrators collaborated in concept and creation of the key art that would serve as a visual anchor for the 2013 AIGA 100 Show marketing campaign. Several illustration concepts and color styles were explored prior to arriving on the final artwork. EKR’s design team created a series of print marketing materials including the award catalog, invites, posters, environmental graphics and signage. 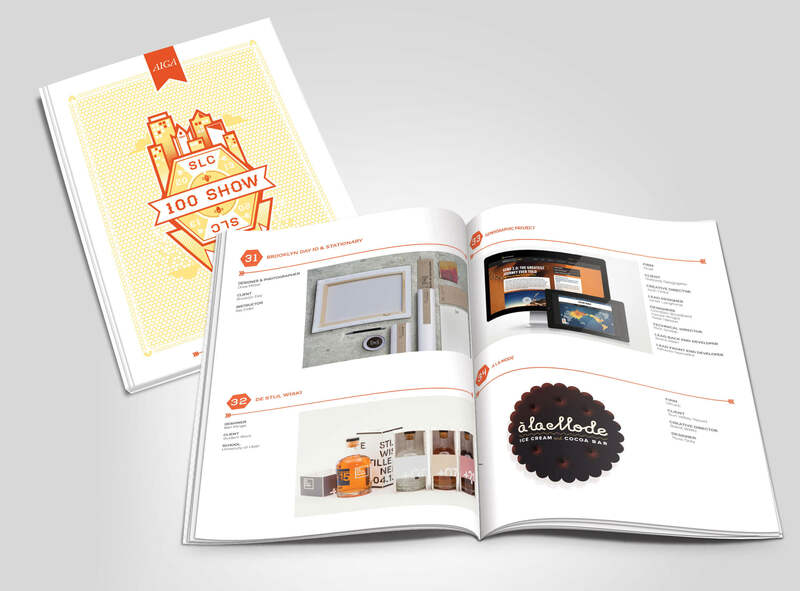 Each element was managed from design through fulfillment of the final printed pieces. 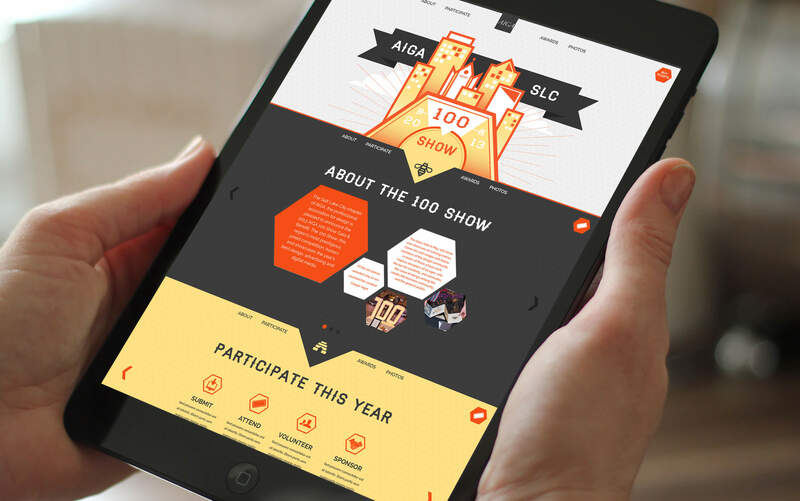 The engagement with AIGA also include creation of an online destination to help promote the event. The site helped visitors understand submission guidelines prior to the event. After the event, the site was converted to a destination promoting the winning submissions. The site was custom-programmed by Eli Kirk Riser’s development team to be responsive for optimal viewing based on the end-user’s device. The final key art was adapted for use on the Copper Ingot award given to the winners. EKR’s design team converted the design work for proper implementation on the award.